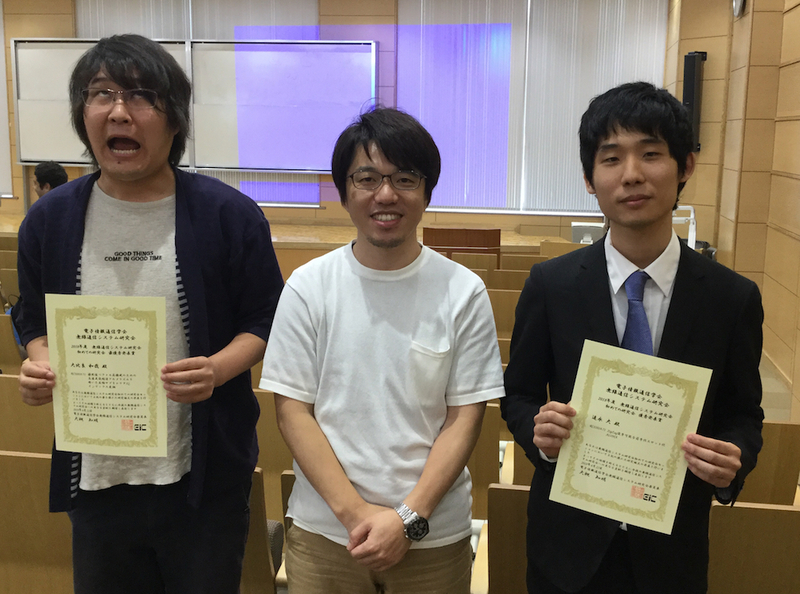 Our member, Kazuya Ohira (left), received the Best Presentation Award of Special Session for Beginners at IEICE RCS conference and Masaru Oinaga (right) received the Excellent Presentation Award (2nd position). This year, 39 papers have been presented in the session. Every papers were evaluated through 10 mins short presentation and 90 mins poster presentation.